At home in spacious homesteads and simple backyards, chickens produce a wonderful source of sustainable, nutritional food and make wonderful pets. 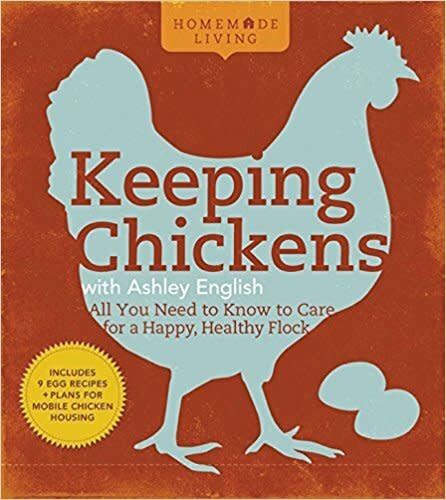 With generous doses of experience and humor, Ashley English shares the essential information you'll need to start and maintain you own flock, from choosing breeds suitable for various needs to how to feed, clean, house, and care for chickens. There are also plans for making nesting boxes and a mobile chicken housing structure; nine delicious "egg-centric" recipes created, tested, and consumed in her own kitchen.